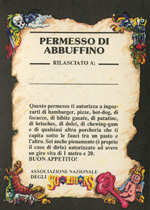 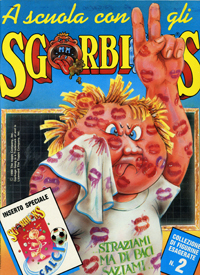 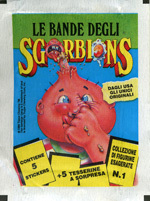 Italy orginally released their own version of Garbage Pail Kids called Sgorbions. 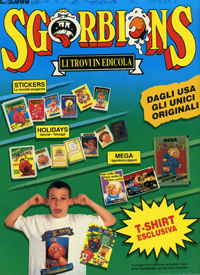 This release saw a number of different Series' as well as numerous spin-offs including stickers, games, memoribilia, etc. 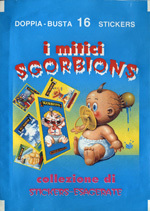 Italy followed suit with other countries and released their own All-New Series release called Kakkones. 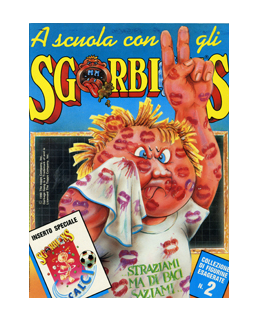 Italy also released a Series of 'Stamps' that they titled I Mitici Sgorbions - which translates to 'The Sgorbions Legends Collection'. 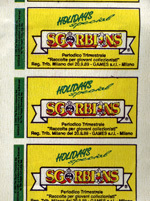 These cards featured 4 small card images separated by perforations. 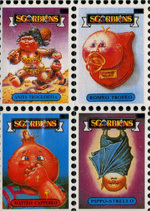 It was intended these look like 'stamps'. 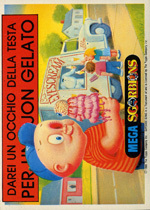 Another Italy release was a Series of larger cards that were appropriately called Mega Sgorbions. 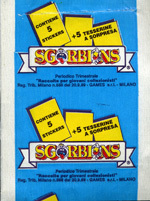 These cards measured much larger than the standard release cards. 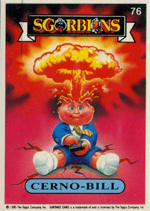 There were 2 series releases for the Mega cards. 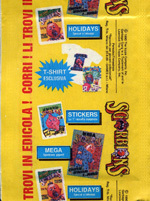 Along with the release of the Mega Series, Italy also distributed a Holiday Series of cards, Metalpins, and more. 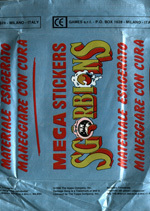 Included in the Metalpins packs, were a number of pins for collectors to save, pin to their clothes, etc. 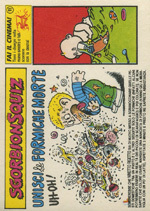 One of the most interesting and unique aspects of the foreign GPK release from Italy, were the albums that accompanied each Series. 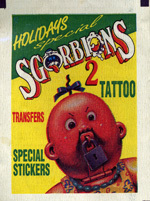 These albums featured numerous pages that were for the collector to peel and stick their Garbage Pail Kids stickers. 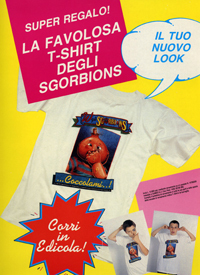 They also featured advertisements and information for other products. 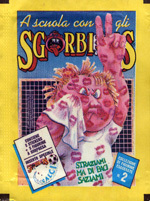 As mentioned above, a series of metal pins were included with the Metalpins Sgorbions release. 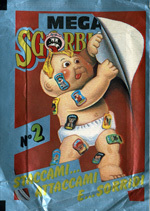 The pins were extremely simple in nature and measured roughly 1" in size. 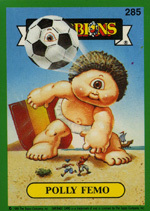 As mentioned above, a new series of Garbage Pail Kids was released in coordination with the 'All New' United States series. 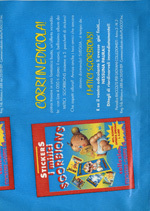 This new release was titled Kakkones, and was comprised of two Series. 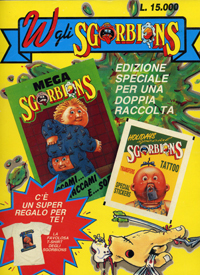 Below are promo sheets that were released to advertise the product.